Red Yeast Rice has been a staple food of the traditional Chinese diet for centuries. During the Tang Dynasty, rice was dusted with crimson yeast, packed in barrels and patiently fermented for months to make Red Yeast Rice: A legendary Chinese tonic. 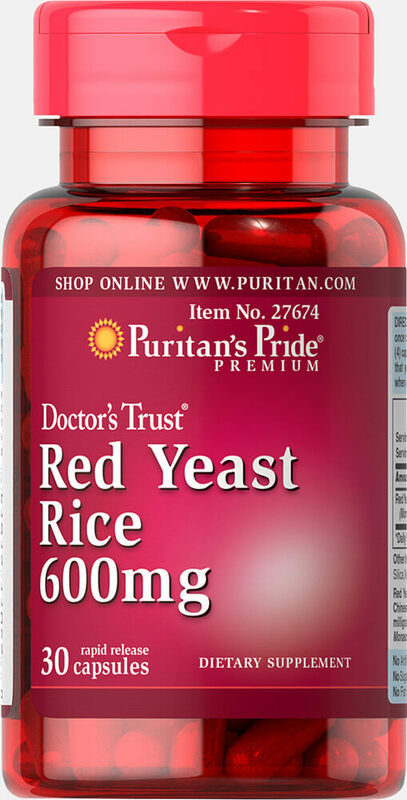 Modern science’s deepening understanding of Red Yeast Rice has made it a highly popular nutritional supplement. ** Valued as a main food source as well as for other uses, Red Yeast Rice can be a wonderful addition to your diet. ** Two capsules contain 1200 mg of Red Yeast Rice Powder from the Chinese botanical Monascus purpureus. No Artificial Color, Flavor or Sweetener, No Preservatives, No Sugar, No Milk, No Lactose, No Soy, No Gluten, No Wheat, No Fish. Sodium Free.